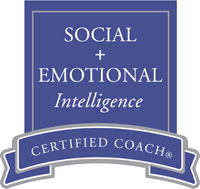 "(Coaching with Laura) was one of the best, hands-on gifts of learning I have been blessed with in a long time. Huge eye-opener re: what works and what does not based on how people communicate. Every session was primo. Fun too.” ~ Judy Krings, Ph.D.
“Your command of the (leadership, management and communication) subject was far more extesnsive than I expected, and your generosity in sharing your great depth and breadth of knowledge was remarkable. Thank you so much for all you have done for our organization. Such a pleasure to work with you.” ~ Mimi Peak, J.D.